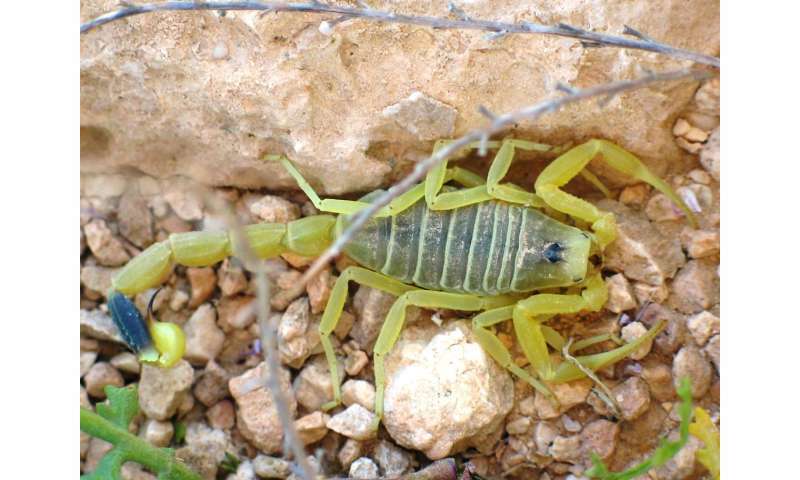 The Peptides and Proteins lab at the Institute for Research in Biomedicine (IRB Barcelona) has published a paper in Chemical Communications describing the use of a peptide derived from chlorotoxin, found in scorpion venom to carry drugs across the blood-brain barrier (BBB). The barrier serves to protect the brain from toxic substances, but it also prevents many potential therapeutic drugs from entering. "About 98 percent of drugs that could have therapeutic applications cannot be used because they cannot cross this barrier," explains the head of the lab, Ernest Giralt. The researchers have chemically synthesised chlorotoxin and a series of analogues that retain some of the properties of the parent peptide. They have studied the efficiency of these compounds in cell models of the BBB and have demonstrated that the peptide MiniCTX3 has the capacity to transport compounds across the BBB "with great efficiency." In the same way that traditional medicine uses natural products such as plants and flowers to treat a range of diseases, the IRB Barcelona lab has sought inspiration from venom with the objective of identifying peptide shuttles. "Our goal is to enable drugs to enter the brain, and to do this, we bind them to peptides specifically designed to cross the BBB. The conjugation of these drugs to the shuttles would improve their efficacy," says Meritxell Teixidó, co-leader of the research. "There are only two or three groups worldwide devoted to shuttle peptides. We are working on a number of strategies, and one of them is venoms," says Giralt. 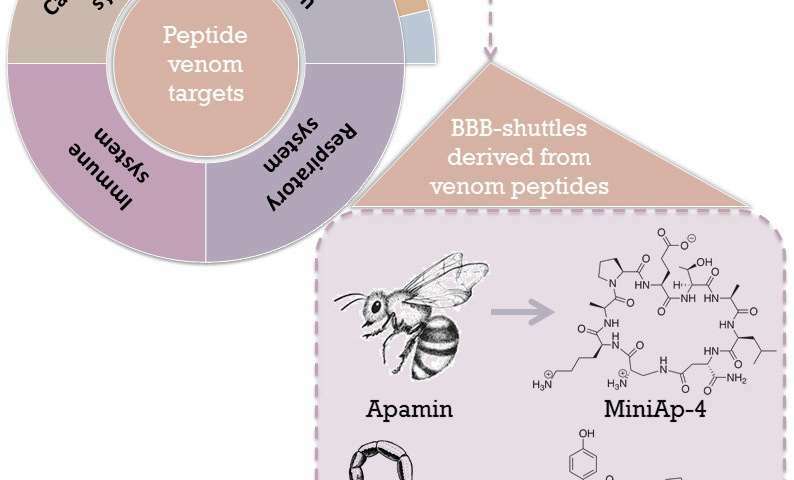 In previous studies, the scientists developed a shuttle peptide with BBB permeability inspired by a peptide from bee venom, namely apamin. After these positive results, the lab wanted to address whether venom could provide a universal source of peptide shuttles. "Thousands of venoms that hold millions of peptides with shuttle potential have been described. We chose chlorotoxin because it has already been reported that it acts like a toxin in the brain," explains Teixidó.